Los Angeles – The popular denim company, Levi Strauss, has recently sued Yves Saint Laurent on the grounds of trademark infringement regarding the tabs included on jean pockets. One of the most classic features on Levi jeans is also one of the smallest features on their pants. Levi’s have been commonly known to have the company name printed onto a red, white, or blue tab. This tab is typically attached into the right seam of the back pocket. The question is, however, does the use of a similar tab from Yves Saint Laurent warrant trademark infringement. 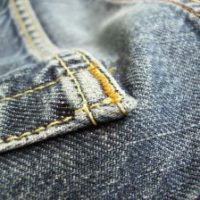 To make a case, Levi Strauss must be able to prove that the similarities between the two could cause confusion among consumers relating to the source of the jeans. Alternatively, the company could be successful in the trademark lawsuit if it shows that consumers might assume a relationship between Yves Saint Laurent and Levi Strauss. The claims related to this case go so far as to say that Yves Saint Laurent is profiting from the jeans that have the tabs added to them and are also “causing incalculable and irreparable damage to Levi’s goodwill and diluting the capacity of its tab trademark to differentiate Levi’s products from others.” Levi Strauss is alleging that this relationship is not only hurting the Levi brand but also is tarnishing the competitive advantage the company has obtained over its competitors due to the use of the tab. The complaint also alleges that the infringement is willful and is meant to profit from the Levi Strauss’ goodwil. Currently, executives at Levi Strauss are requesting an injunction to prevent Yves Saint Laurent sales and triple damages due to the accused willful nature of the infringement. Critics regard the allegation of infringement as unreasonable when considering that the only commonality is that both tags are in fact tags. It may be questionable whether Levi Strauss’ tag is distinctive enough to qualify for trademark protection. A fundamental question is whether consumers see the tag itself a source identifier and whether consumers associate that source with just one company. The allegations against the legitimacy of the lawsuit will not deter Levi Strauss from defending its tabs. Though it may seem like a small detail, Levi jeans have generated billions of dollars in revenue, therefore asserting ownership of the tabs is likely seen as an investment in long-term profitability for the organization.